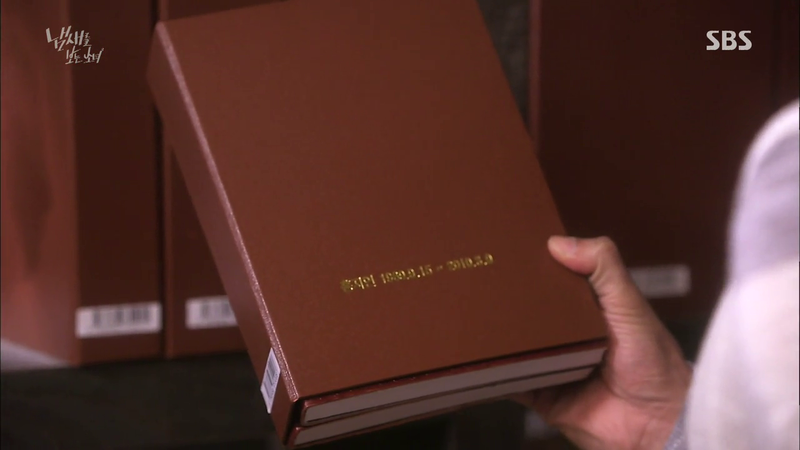 As Cho Rim reads the letter from Chun Baek Kyung, Kwon Jae Hee pats her shoulder and asks her what she’s doing. Now I understand why the scriptwriters give Cho Rim the background of a comedian, because she has the ability to act and think fast on her feet. She quickly crushes the paper and hides it behind her back. Kwon doesn’t suspect a thing and even nods reassuringly when she lies that she was memorising her script because she was nervous. Moo Gak throws up a fuss outside the meeting room and demands to know the real reason behind his dismissal. Lieutenant Yeom remains stoic, while Sang Gil and Choong Do forcefully bring Moo Gak out and assure him that they will try to convince Yeom otherwise. 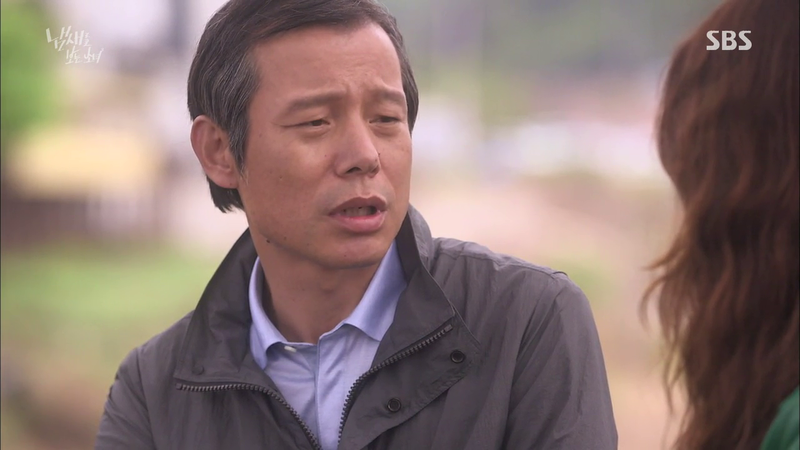 However, when Yeom tells them that the reason for Moo Gak’s dismissal is that his sister was mistakenly killed by the murderer and that a detective cannot take part in a case with personal reasons, the three of them were stumped and speechless. Cho Rim reads the letter again and calls Moo Gak. She finds out that he has been dismissed and stops him from drinking. She takes his hand as he sighs that Yeom has previously allowed him to stay on the team because his sister’s death was technically not a barcode murder, but now she refuses to tell him the real reason behind his dismissal. 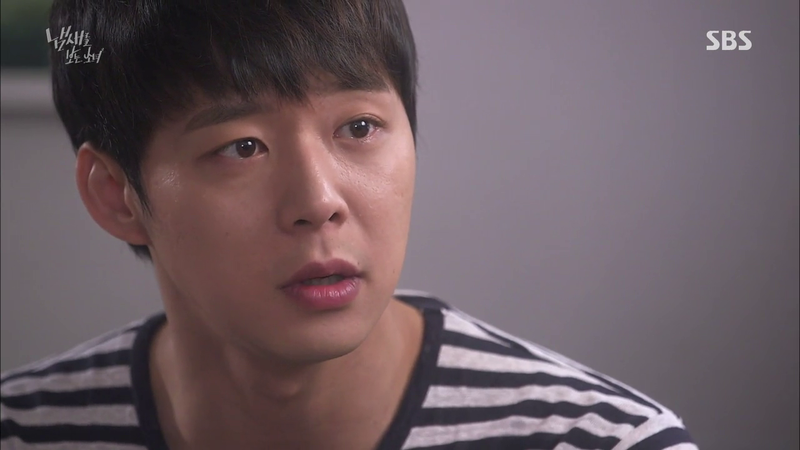 Knowing that Moo Gak is having a hard time now, she decides not to tell him about the letter. Instead, she finds her dad and asks him for the truth. Her dad knows that this day is going to come, and confesses that she’s indeed Choi Eun Seol. Cho Rim asks why he did that, and he tells her that when she was lying in a coma with no one to take care of her, he was reminded of his own daughter who went missing when she was 5 and would have been her age if she was alive. So he adopted her. She promises him that he will always be her father even if she finds her biological parents and she wants him to promise the same thing. Moo Gak meets up with the other 3 detectives who tell him that they could not do anything since technically Yeom was going by the books. 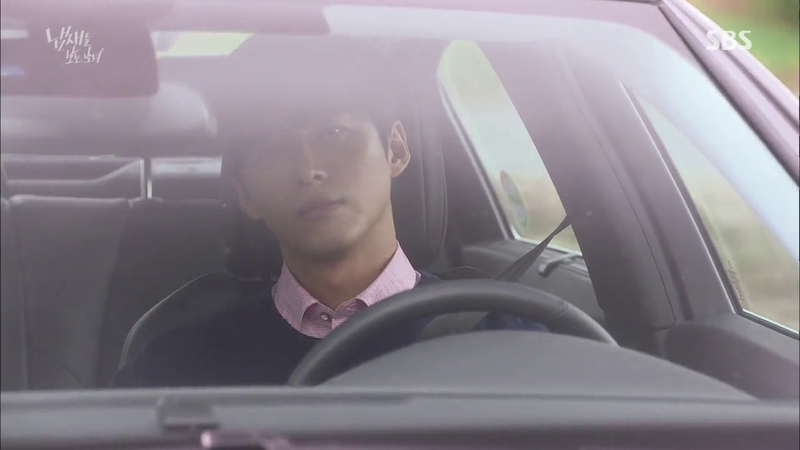 Moo Gak comes up with a plan, and the next thing we see is Sang Gil and Choong Do approach Yeom with dinner plans. They are stumped when Yeom rejects them flat out and Sang Gil quickly makes up something – that Inspector Kang wanted to meet her and so she must come for dinner with them. In the meantime, Moo Gak sneaks into the station. However, Inspector Kang is unaware of this new ‘reason’ and when Yeom asks him what he wanted to ask, he is all like “Fried? or seasoned?” HAHA. He finally catches on, and tells Yeom that he wants to be a profiler just like her, “Am I too old for that?” I love this trio HAHA. On a more serious note, Moo Gak uses Yeom’s computer and finally realises that Cho Rim is the daughter of the fisherman couple AND the witness. 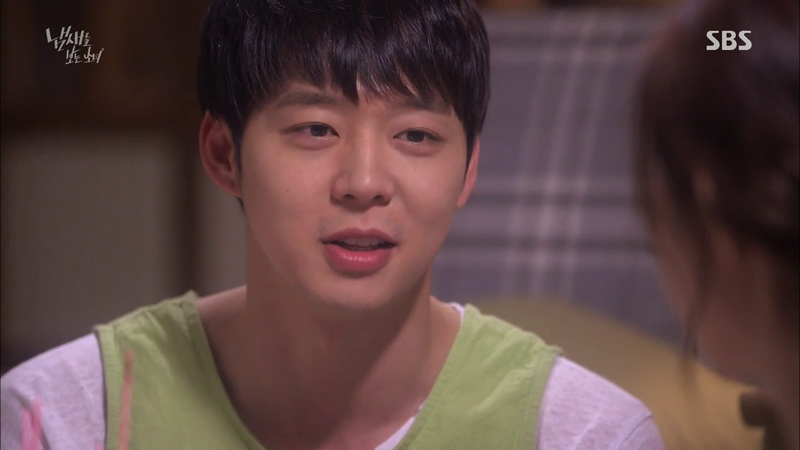 Yeom visits Cho Rim at her house and suggests that she attends special programmes which can help her recover her memories. Cho Rim declines because she doesn’t know if she will like her past memories, especially since she’s happy now. Yeom remains firm in her stand and demands that he moves out of her way. Moo Gak is undefeated and proceeds to find Oh Jae Pyo, but guess who he runs into on this narrow bridge. Both of them get off the car and basically have a very passive aggressive conversation on what they are here to find. Kwon is amused even though his cover is blown and waves his phone as he leaves. 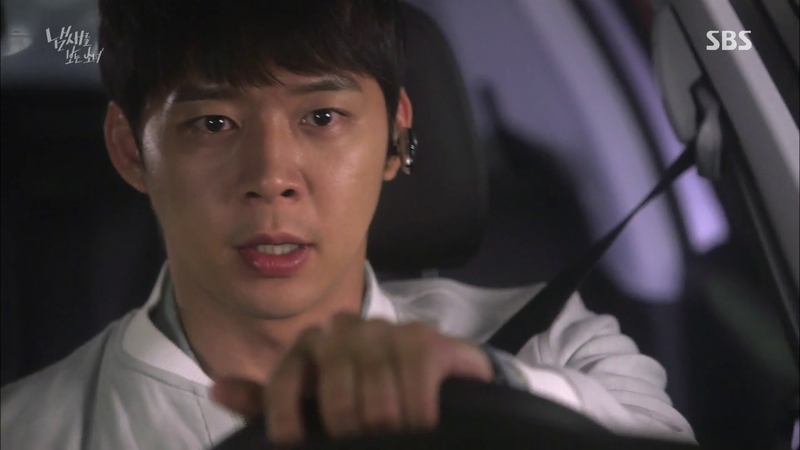 Moo Gak continues on his way to the restaurant but finds out that Jae Pyo has already packed and left. 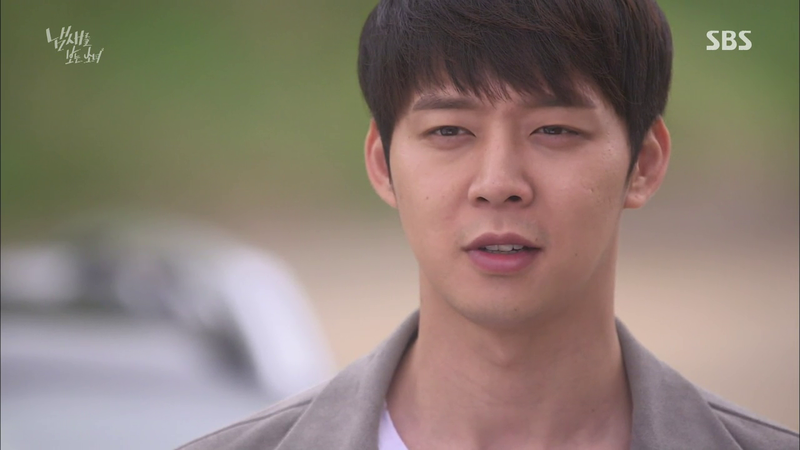 Unbeknown to him, Jae Pyo has packed and left to meet Kwon. NOOO. Moo Gak treats Choong Do to a meal, and Choong Do is all on cloud nine that he must be the friendliest detective and the closest to Moo Gak. Moo Gak asks if he has finished his meal and if he could make a call. Choong Do is stunned when Moo Gak calls HIM, “Isn’t this a trick between couples?” but picks up anyway. Awesome! Choong Do finally finishes his spluttering and reminds Moo Gak to reset his phone to get rid of the spy app. 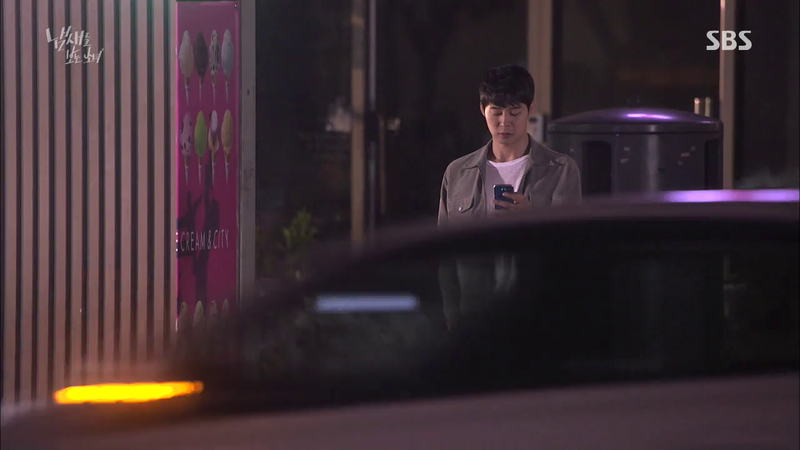 Poor Cho Rim waits at the bus stop for Moo Gak, who is actually just opposite the road. He watches her and reads her messages, but decides to hop on the bus and leaves anyway. 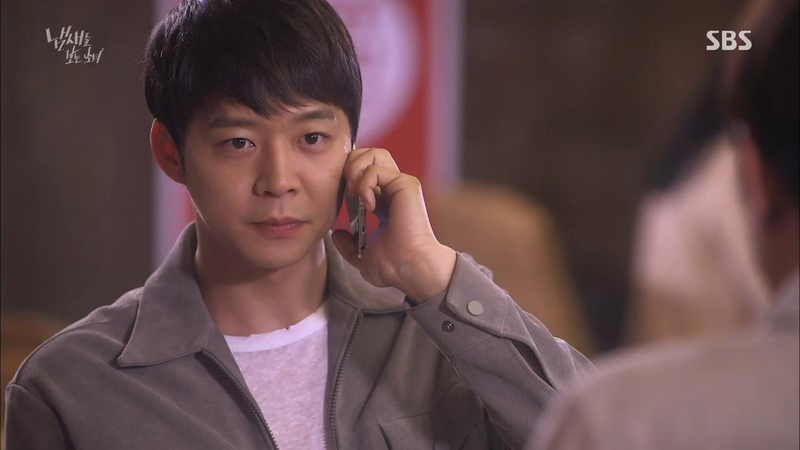 Cho Rim is worried and tries to find him at the police station, but runs into the trio talking. The trio manages to put together the full picture – that the real Choi Eun Seol witness might just be alive, since the murderer killed Moo Gak’s sister thinking that she was the witness. Cho Rim very quickly understands and steps back in horror. Choi Eun Seol is the witness, and Moo Gak’s sister was killed because of her. 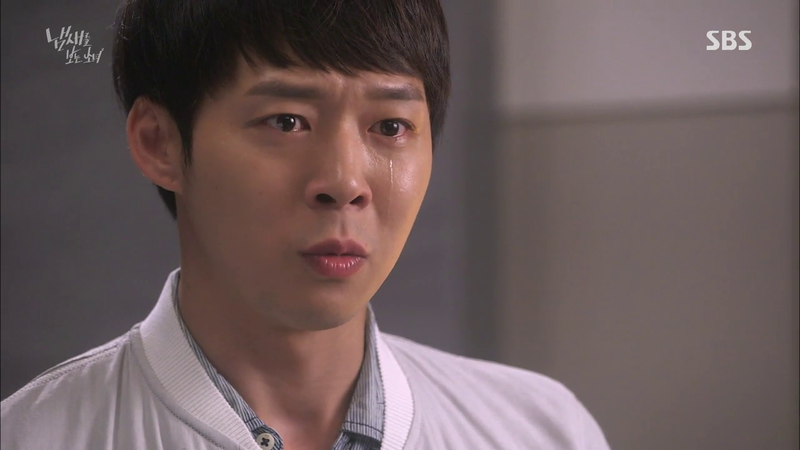 Moo Gak tries to get his feelings sorted out, while Cho Rim cries alone. 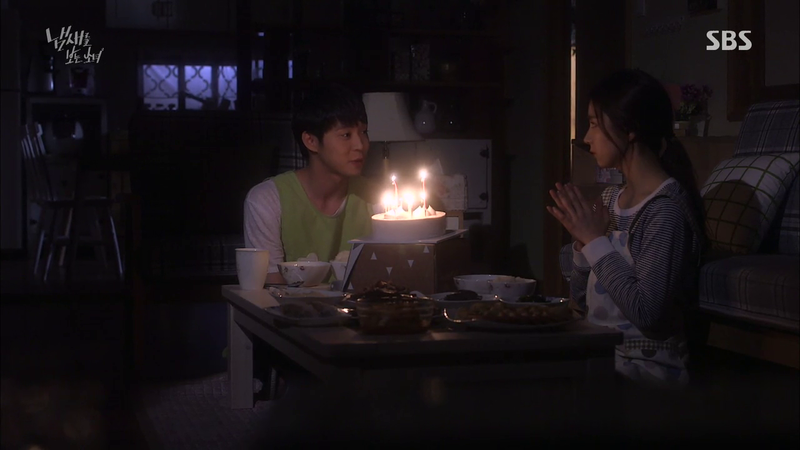 The next day, Moo Gak surprises Cho Rim at her house, because it is his birthday! Cho Rim isn’t very amused but Moo Gak doesn’t realise anything. Cho Rim scoffs and he tickles her. He hugs her and says that he will let it slide because it is his birthday. Cho Rim simply clears her throat but doesn’t say anything. He pinches her cheek, “Why do you look so pretty today?” Even though she isn’t in a good mood, she looks at him with happy eyes. Later, when she sings the birthday song, he requests that she changes ‘Happy Birthday Moo Gak’ to ‘Happy Birthday my darling.” She concedes and reminds him to make his wish. He blows out all his candles in one go, and Cho Rim uses her ability to see scents in the dark to find his phone. What a touching speech:’) but Cho Rim isn’t really moved at all. She rejects his suggestion to dance for the last 10 minutes of his birthday, and tells him that it’s late so he should go home. Moo Gak laughs in disbelief, “What? I said my birthday is over.” Oh man I feel for you. She tells him that she has been thinking about it and that it is a good time to break up. He repeats his question with urgency, “Why? Why so suddenly?” but she says that she simply just doesn’t like him any more. He can just blame every thing on her, and she will not change her mind, “in case you attempt to do so.” Obviously he’s going to attempt to do so you idiot. Moo Gak loses his cool finally and shouts, “Why are you doing this? Tell me honestly and don’t lie. Tell me honestly!” Instead of telling the entire truth (as she should), she apologies and leaves in a cab. Moo Gak returns home half-fuming and half in disbelief, while Cho Rim recalls all the memories they had together and sobs. Honestly, while I understand Cho Rim’s reason, I generally am not able to sympathise with characters who raise break ups without telling the other party the REAL reason, and then they return home to sob themselves to death. Noble break ups are not my favourite thing. 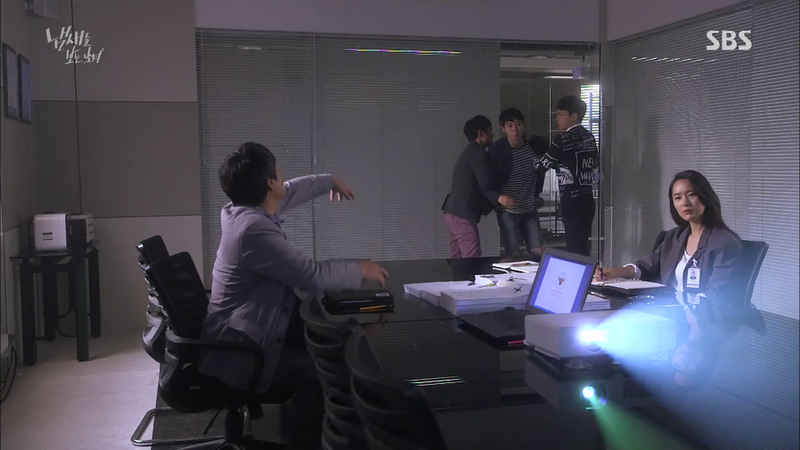 What I do like about this drama though, is that they cut all the fluff and unnecessary drawn out elements. The next morning, Cho Rim tells Yeom that she will like to recover her memories and she knows that she’s the witness. 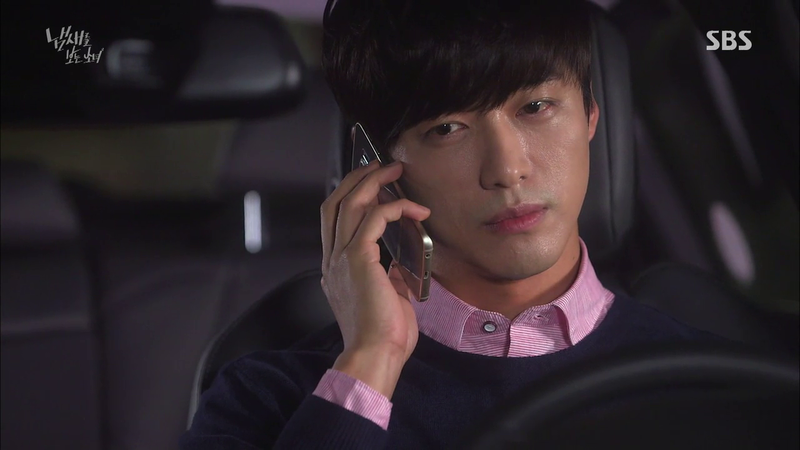 Moo Gak tries to call Cho Rim but his calls just went straight to voice mail. 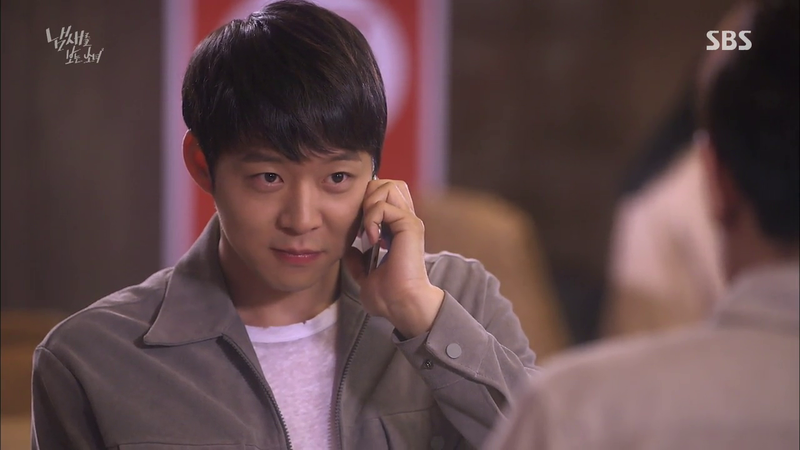 Yeom calls him back to the station and informs him that he’s back on the team because she decides to believe in his willpower. The trio smiles as they sneakily listen from the outside. Dude, everyone can see you. If you are wondering what happened to Jae Pyo, he’s sitting in Kwon’s house. Kwon visits his library and recalls his earlier conversation with Jae Pyo where he mentioned that the fisherman couple was the third murder. 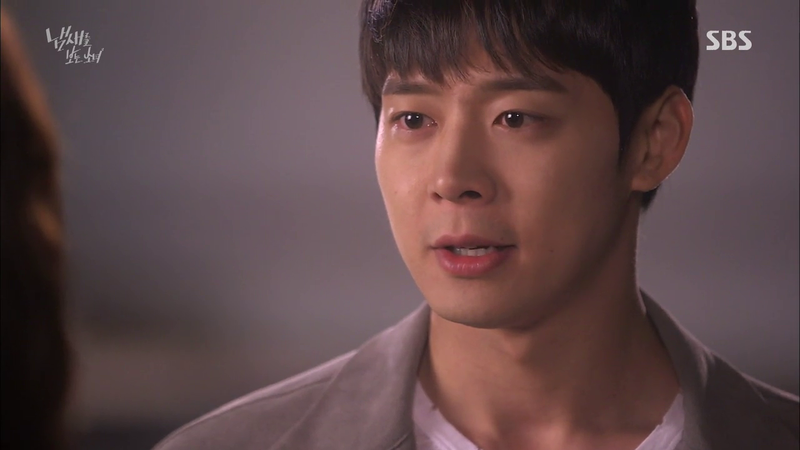 He returns to his living room and gives Jae Pyo a huge amount of money to donate to the association he set up for the families of the barcode murders. 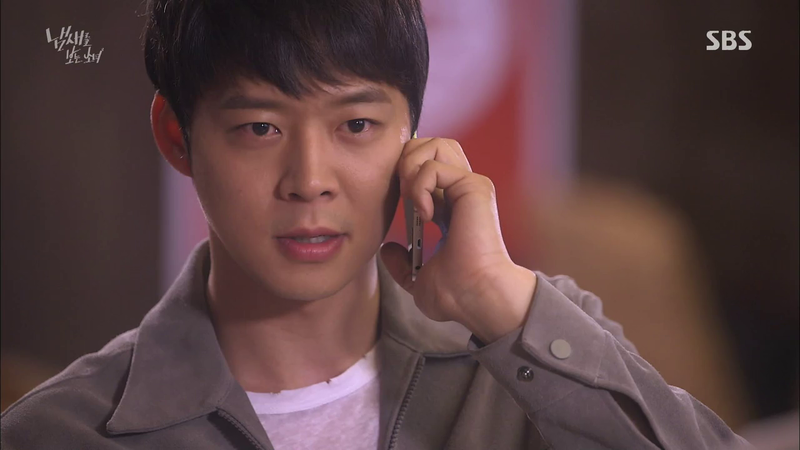 With skills and charm, he manages to get Jae Pyo to tell him that he has kept the witness close to him. 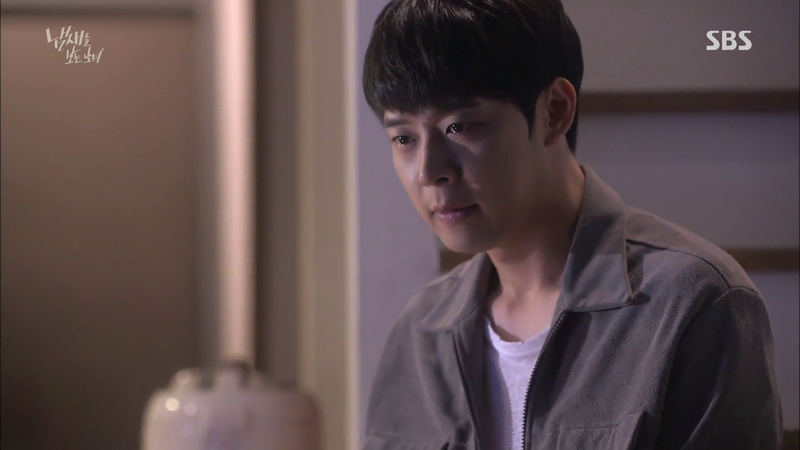 Kwon brews coffee for the both of them and recalls the contents of the first diary from the first victim – and both us and him realise that the first victim was Jae Pyo’s wife. 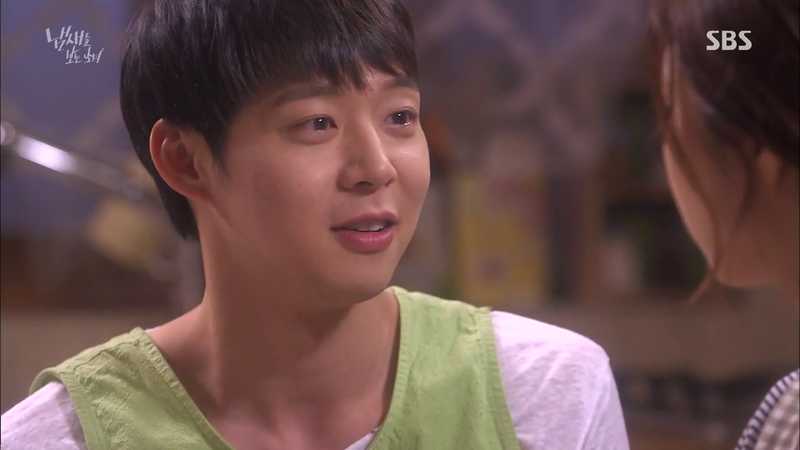 He asks about Jae Pyo’s family and Jae Pyo reveals that he has a 22 year old daughter. Kwon knows from the diary that his daughter is already dead, and his evil eyes appear while Jae Pyo drinks the coffee which he himself is not drinking. 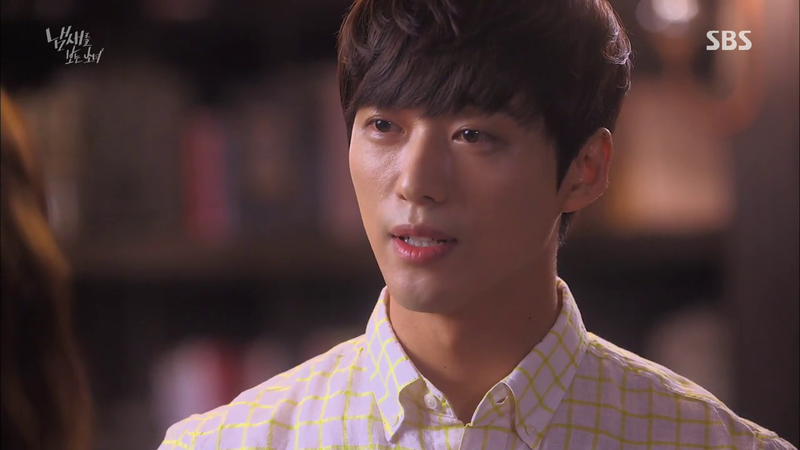 Yeom meets with Cho Rim to tell her of the things she should take note before going for the programme the next day. 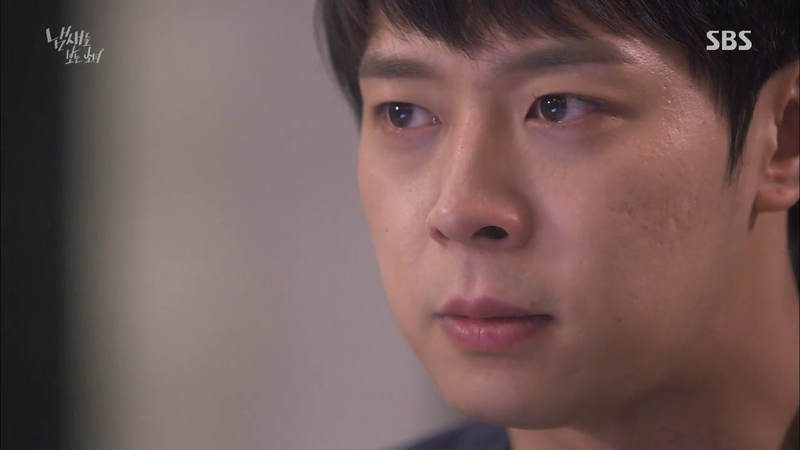 She notices that Cho Rim is worried about her father who hasn’t yet returned home and offers to help her track him. 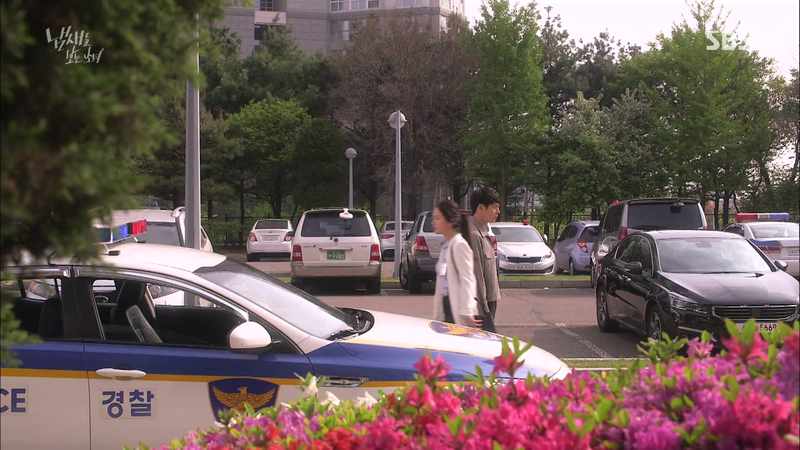 When she returns to the station, she tells Moo Gak that Cho Rim has already found out that she’s the witness. Moo Gak stutters, “How much does she know? Does she – ” “She knows that your sister was killed because the murderer mistook her for the witness.” Moo Gak is shocked and taken aback, and asks why Yeom did not tell him this. 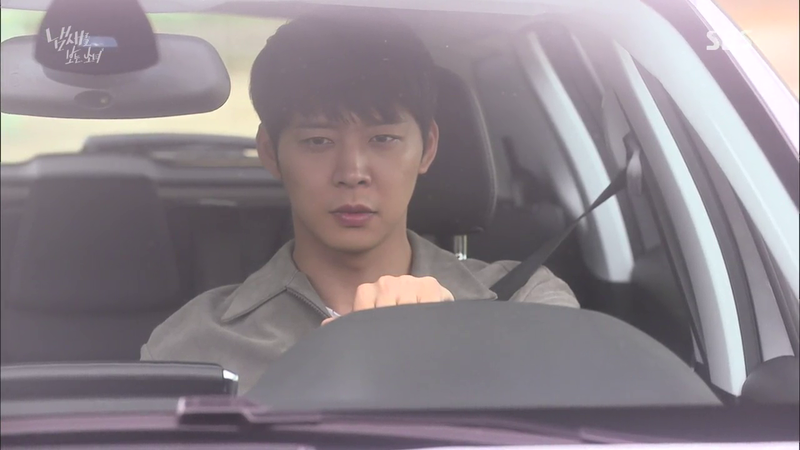 Oddly, Yeom’s eyes well up as she tells him that Cho Rim is still somewhere nearby. Is it just me who think that Yeom might have feelings for Moo Gak? Like innocent good feelings. Cho Rim at this point in time, receives a message from ‘her father’ who requests that she come fetch him because he’s drunk. 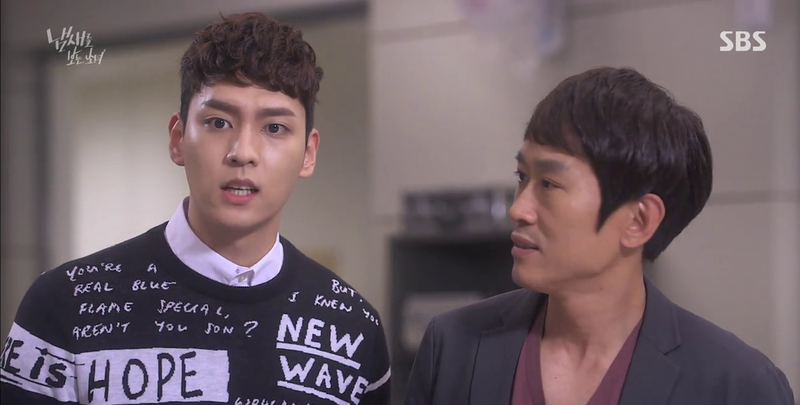 Yeom tracks down Cho Rim’s father using his phone number and deduces that Jae Pyo is in Kwon’s house. She calls Cho Rim, but Cho Rim doesn’t realise since her phone is on silent mode. Damn the silent mode. 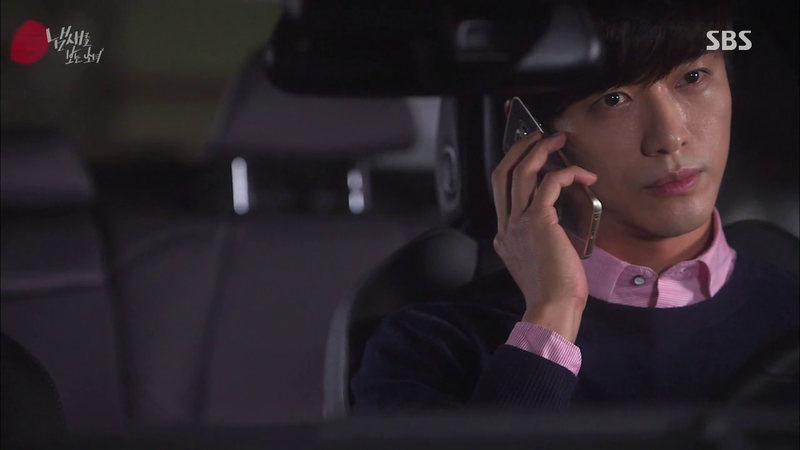 Yeom quickly calls Moo Gak who hurries to Kwon’s house. In the meantime, Cho Rim has already arrived at Kwon’s house (why is she not curious at all why her dad is in his house??) and proceeds inside since the door is unlocked. But silly her closes the door and I’m just like NOOO. She calls her dad and starts following the sound of the ringing phone since the house is empty. 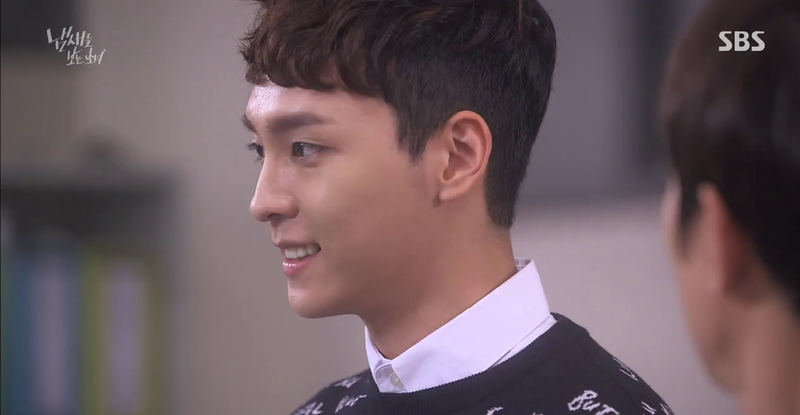 Kwon waits behind a door and when Cho Rim comes near, he steps out and taps her shoulder. This took really long to write T.T but I am really liking this drama so far! Even more than Falling For Innocence. 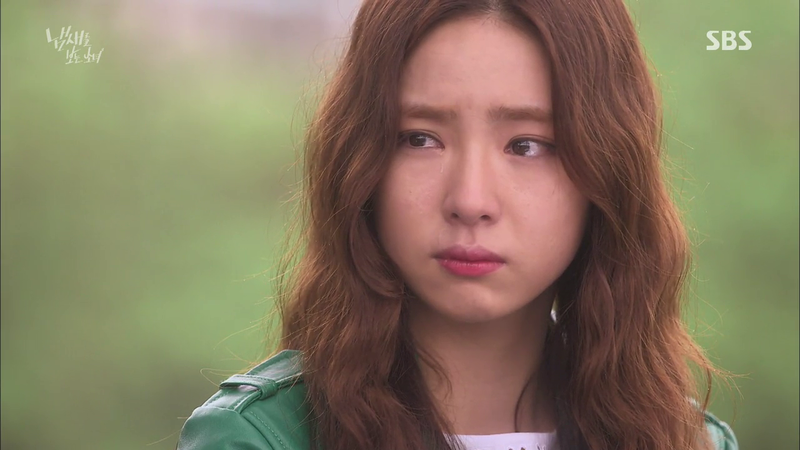 I read that some people didn’t like Shin Se Kyung’s acting, but honestly I don’t find anything wrong with it. 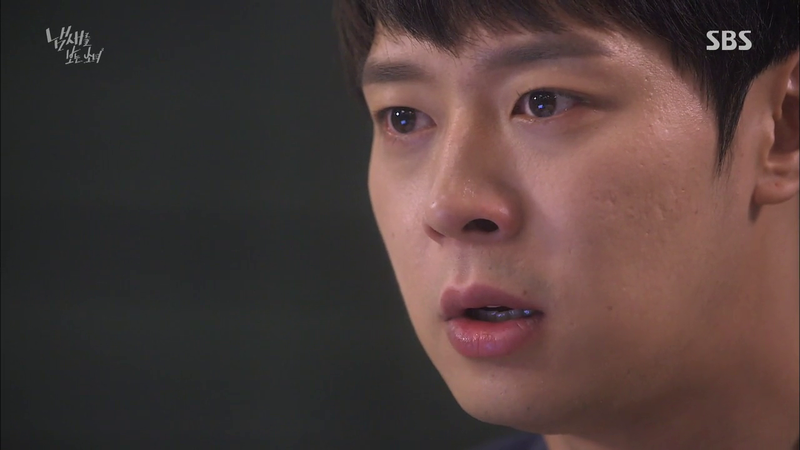 I’m very pleased with Yoo Chun’s acting, and I hope I’m not the only one who thinks that he has shown great improvement and potential! Even though he’s not the typical handsome, tall, buff guy, I think he has a very pleasant and friendly face that is time-lasting, a bit like Lee Seung Ki. Plot wise, I like the movement, although I wonder if they could have milked more out of the whole realisation that Cho Rim is the witness thing. I don’t like sappiness, but I felt that there was less of a OOMPH than I expected. 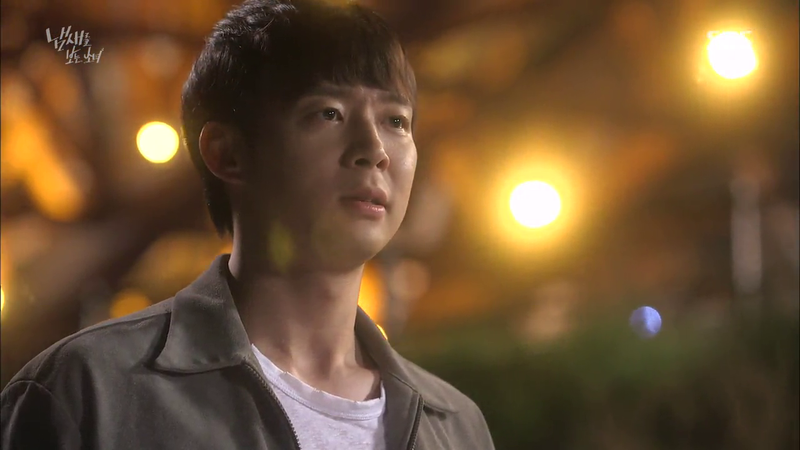 On the other hand, I really appreciate that Moo Gak decides to get over his worry and just continues to love Cho Rim. He’s someone that is very unabashed with his feelings – even the grey zone problem earlier was because he didn’t even realise that he was supposed to do anything, not that he purposefully avoided the commitment. That’s nice and they should definitely keep that. I hope Cho Rim and Moo Gak get back together soon, because there’s really no reason for them to stay apart. After so many episodes, I’m still very curious why Chun Baek Kyung gave Kwon the clue in the first place. Indeed, Kwon’s moves after he realises that the witness is still alive actually set the whole thing off – he cooks the special soup, which triggers Cho Rim’s memories and this leads to everyone finding out the truth after that. But in the story-world, there’s literally no reason for Chun Baek Kyung to tell Kwon this. My guess is that for the next episode, Cho Rim will be able to escape because Kwon will not be able to identify her as Cho Rim. Maybe a seed of suspicion, but it’s too early in the series for Kwon to find out that Cho Rim IS Eun Seol. Besides, I think Kwon has good feelings about Cho Rim and trusts her quite a lot.